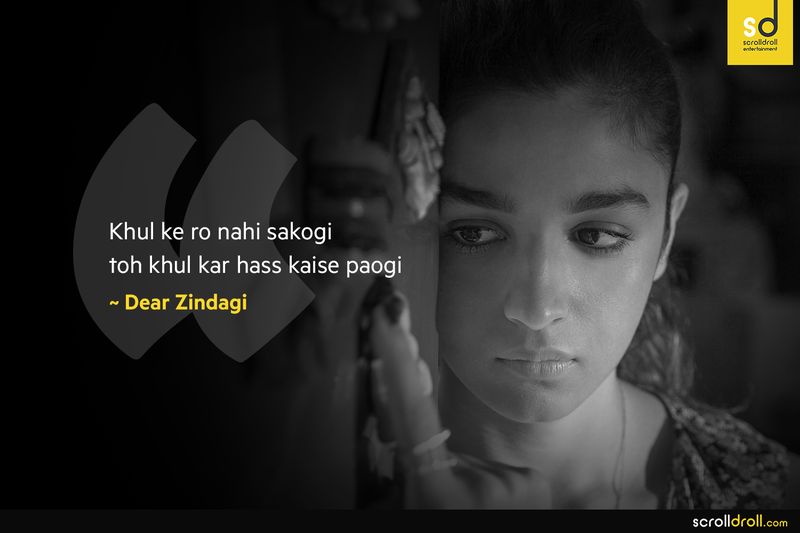 After a series of career and relationship downturns, Kaira begins suffering from insomnia. 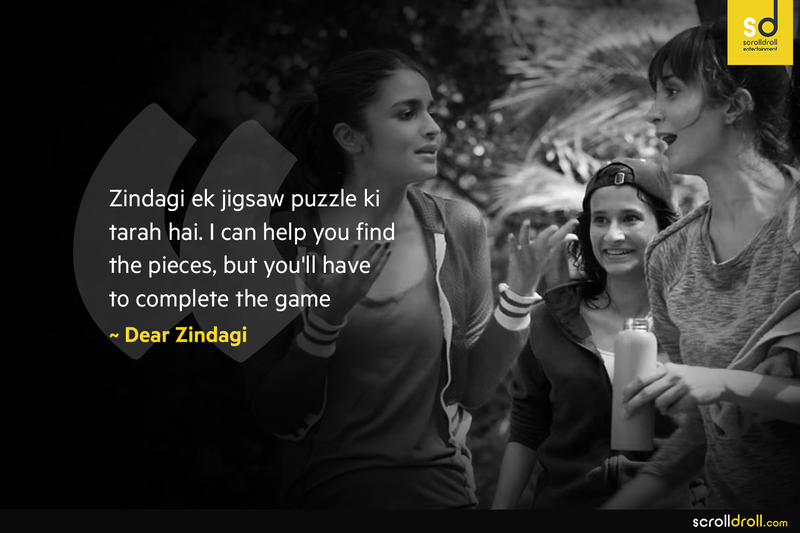 She contacts Dr Jehangir Khan, a psychologist, who uses unconventional methods to treat her. Modern Indian society—with its superficial humour, a sense of irony and detachment, and emotional numbness, looks down upon vulnerability. 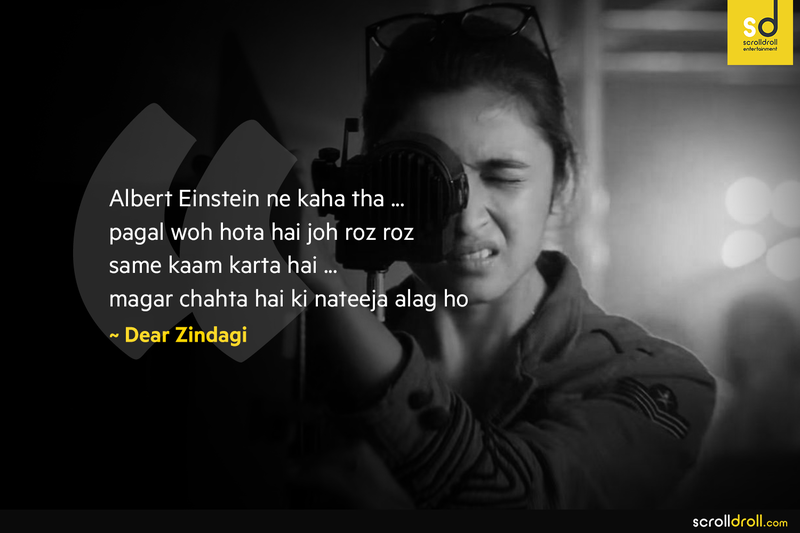 It’s heartening and refreshing to see a mainstream bollywood film starring bollywood stars, talk about mental health in a way that it doesn’t trivialise its finer details. 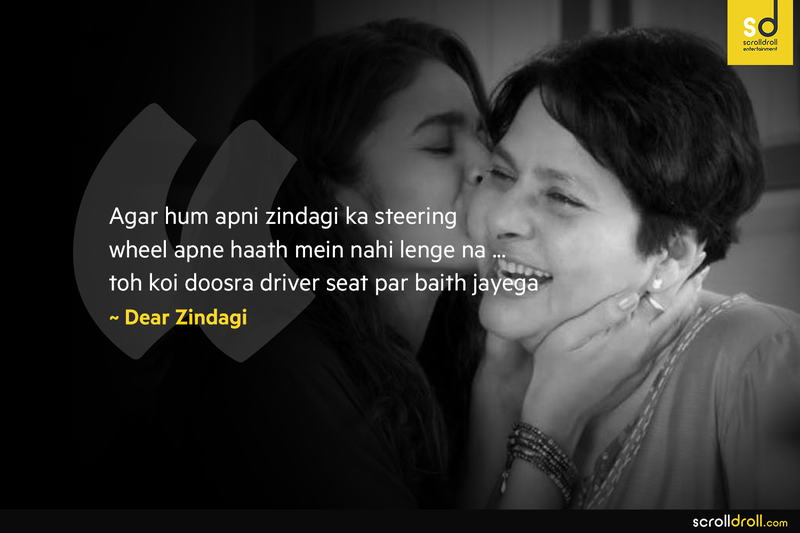 Dear zindagi also talks about the imperfection of a ‘family’ which is otherwise dressed in perfection and put in a pedestal that we cannot reach to point out the flaws. 1. Even the student of the year needs some advising. 3. 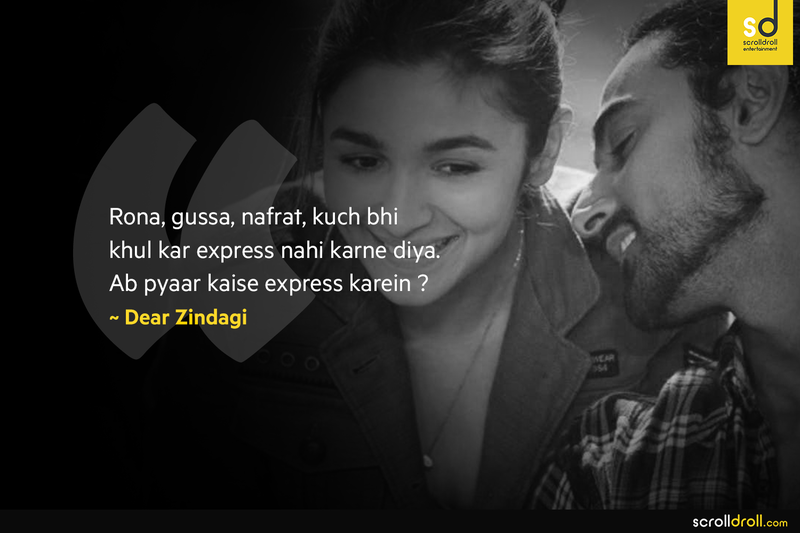 More often than never simple Dialogues like these make you see the unnoticed in you. 4. One of the best from the movie! 5. Genius is also who knows who a genius is! 7. It all comes down to you in the end. 8. Self- doubt k baadal chatt gaye, ab confidence ki dhoop hogi! 10. 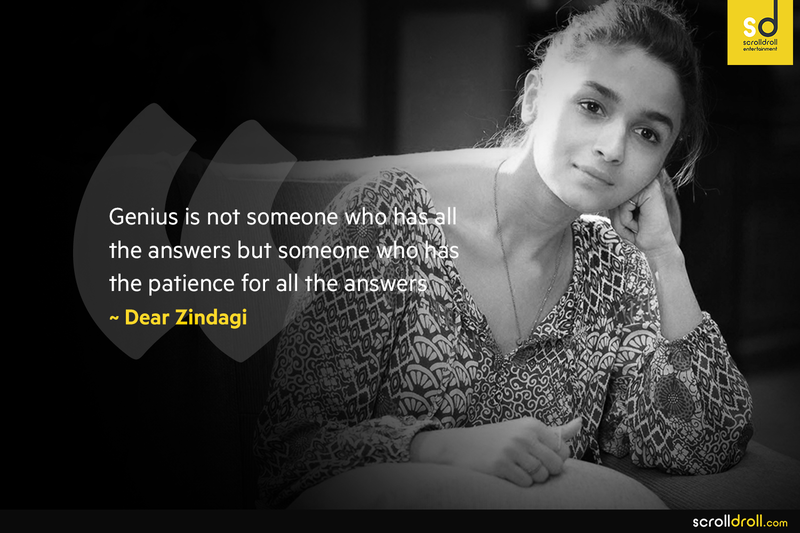 Dear zindagi should be thanked in abundance for pointing this out. 12. ‘Destiny’ is the principal, with ‘faith’ as the course coordinator. 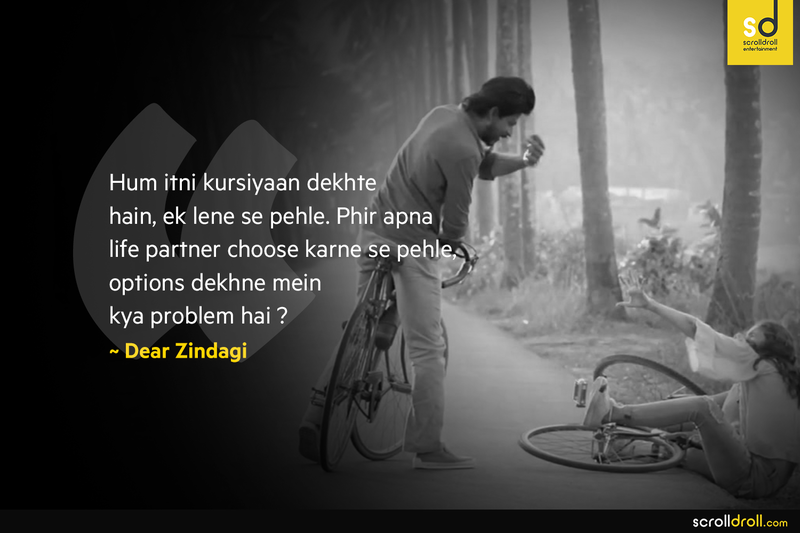 Let us know what hit you and your favourite dialogues from the movie in the comments below.